Ive been thinking about saying something on this blog for a while, but I have put off as I think it may come out wrong and some of you may think I am ‘right up myself’ and all high and mighty, which isn’t the intention at all. But anyway, here goes, with a little background first. I can remember reading an EMS blog a little while ago, before I started Medic999. I had made a comment on one of the posts praising what the blogger had done and saying ‘well done’ etc etc. He replied later in the comments, something along the lines of, “please don’t say well done or give praise for what I have done” etc, as he felt he was just doing his job etc etc. At the time, I can remember feeling a little put out, and thinking that it was a little ungrateful and a bit of a snub for us readers who have taken the time to write what we thought about what he had done for his patients. I left his blog alone for a while but soon afterwards went back and have remained an avid reader ever since. However, I kind of know what he meant now. Some of you give comments on what I write, and so far they have always been in the positive. Many of you say well done or praise me for what I have done on the incident I am describing for you, but just recently for some reason, I have started to feel a little bit uncomfortable about it. I think it is more to do with my own mindset, and when I read people saying well done, I wonder if some of you think I am putting stuff out there just looking for pats on the back and praise to be showered down on me. Maybe I am just being paranoid? What I do know though, is that all of the comments are made with genuine sincerity and feeling, and for that I am really grateful. Sometimes I write directly from the heart and let my true feelings and emotions out. That part is like therapy for me and it is what I enjoy more than anything else, letting anyone who wants to read my blog into my innermost thoughts and fears. Hopefully it will show that some paramedics are thinking, feeling, compassionate, thorough, dedicated professionals (with their own personal hang ups!). Other times I choose to write about certain jobs that I have attended on. These are mainly due to the fact that I have learned something from them, or I feel that others may get some benefit from my experiences on the road. I get a big kick out of thinking that my experiences may change or reinforce practice elsewhere. I know that I learn alot from other blogs I read. When I write, it is not for praise. I don’t think I am the worlds best paramedic (although some who know me may say that I think I am! ), but I know that I am a very good paramedic. When I do my job, I do it to the best of my ability, with the patients best interest at the centre of everything that I do. When I publish these types of posts, I usually get some ‘well done’ comments. I don’t think it deserves a well done though. If you think I have done anything worth a well done, then I would counter that and say that it is what the patient should expect, from every single member of EMS world wide. As far as I am aware, I have done nothing ‘heroic’ in my career so far. I have not gone running in to a burning building to rescue a child (because I am not a firefighter!). I have not jumped into a fast flowing river to save a man (because I am not the best swimmer). I have not done anything ‘above and beyond’ the call of duty. That’s not to say that I will never be in the position to make a decision to act and endanger myself in the future, but if I do, then I will want loads of ‘well dones’!! Is this coming out right? I think I am rambling a bit! I love getting comments, I really appreciate you taking the time to sit at a keyboard or on your mobile phone to interact with me. It makes it all the more worthwhile. I hope you don’t think I sound ungrateful. I guess it comes down to feeling a little uncomfortable for getting praise for something that should be the norm for all patients. Maybe the praise is more to do with the fact that there are some paramedics out there who don’t practice to the standards that we would hope for a member of our family to receive. As in any profession, there are good and bad! I might just be digging a hole for myself here so I’m just going to go. If I have offended any of you, just put it down to the inane ramblings of a paramedic who thinks a little too much about things sometimes! We share what drives us. I find it a true compliment when someone takes the time to comment, log in, type the silly word and hit enter. It takes a lot to type a little. Those who offer praise, as I sometimes do, do it to satisfy themselves, not the author, IMHO. If I read something, like your Over to You spots, and had it wrong until you set us straight, I have learned and I say nice job. Good post, well done. You know I had to. Why not look at it as being thanked on behalf of all good paramedics? Those of us who have been on the receiving end of emergency care appreciate it and anyone who has been a patient of any description knows only too well that there are good medical staff while others are, frankly, awful. For me personally, the staff that I remember aren’t the ones who were good technically, they were the ones that cared about their work and that came through in how they treated me as a patient, ie, as a person. Your passion and commitment to your work shine through in this blog. I’m tempted to say “don’t be so British” 😛 Take your praise like medicine, take a deep breath and swallow it! I remember a phrase that I heard once… something along the lines of “Just close your eyes and think of England”. Oh, and I’m tempted to say it too! Don’t be so British! I know your point though. After my Mother-in-law did a ride along with me and my first call with her (her first experience on an ambulance) was a 38yo cardiac arrest that we resuscitated, she said the same thing. Something about “saving a life”. I told her that *I* didn’t save the life, the system I work in did and that a lot of people working together are there to save the lives. We’re just pieces of the puzzle. It doesn’t come across as you writing for praise. It comes across as writing for others to see what EMS gets up to on a regular basis, as education, and almost as therapy for yourself. We praise you because we want to, not because you’re fishing for it, in the same way we’d praise any good writer, and any good EMT/para. I agree with nickopotamus, I have been reading your blog for a few months now and never have I thought you were ‘fishing for praise’. I read your blog because I find it interesting and it is well written. All the praising comments that you’ve received are funny even though some don’t mean to be. You ask not to be praised for ‘doing your job’ and you get praised for writing it. Genius. I hope I don’t appear to be mocking anybody because that’s not what I’m trying to do. The human psyche baffles me. It’s like the elephant in the room idiom. From my stance, I’m as keen as mustard with regards to the career I’ve chosen, and I know that I’ll be working with some less than motivated paramedics or senior techies. I also know that there are a great deal of highly motivated staff out there that I will be able to bounce questions off and that they’ll let me get on with the management of a job from the very start to the handover. 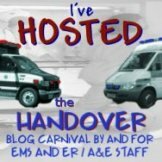 My honest opinion of this blog is thus: a superb arena for me to learn from an experienced and motivated paramedic. I say learn, that could mean to emulate or deviate from the practise you employed. Most probably the former (no praise involved). I won’t be giving you well done comments. I don’t think that you need them, and I’m not in an experienced enough position to offer them. I will offer you my thanks as this blog is a great resource to a newcomer like myself. Stop being so British you’re a tough nut Geordie. You big girls blouse ! You do a good job, both as a medic and as a blogger. That’s why we praise you. Don’t worry though we’re equal opportunity …when you f@$k up, we’ll savage you ! LOL !